The world is constantly changing. And to keep up with all of this change, you must keep yourself updated and equipped with all the latest knowledge on what’s in trend and what the world is talking about at any given time. And if there is one thing the world is talking about right now, it is cryptocurrencies. Having started with the sudden but firm dominion of Bitcoins over the investment market, today, almost everyone seems to be caught up with the fever. People who have never made a single investment in their lives are now searching frantically for superior portals and exchange services that deal in Bitcoins. Everyone wants to harness the full capabilities of the Bitcoin, and extract as much gain for themselves as they can. And it isn’t just Bitcoins. 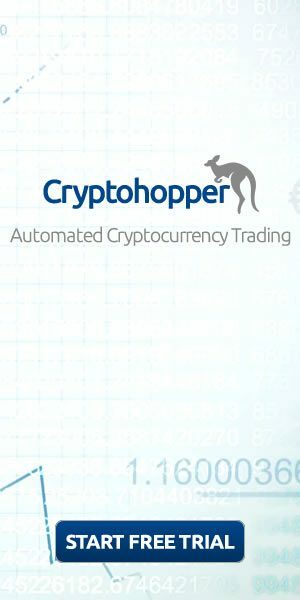 A lot of other cryptocurrencies are currently experiencing what can only be described as a massive popularity wave. For all those who think the Bitcoin is way too mainstream, there are many more similar options available. Options such as Litecoin, Dash and Ethereum are only a few of the long list of presently profitable and interesting commodities to invest in. But where did it all start? Some would say it happened back in 2009 when Satoshi Nakamoto ‘invented’ the Bitcoin currency. Although Bitcoins ceased to be popular after a brief amount of time, and soon there was a period when almost no one was talking about them, they did make a smashing comeback a couple of years back when their rates literally tore through the roof to an all-time high that seemed almost unbelievable. Now the success of Bitcoins blew the entire domain of cryptocurrencies wide open. Soon enough, people were actively taking interest in all sorts of these currencies and were eager to put their money in them. Corporations were set up, startups were formed and even the current corporate giants from the financial sector veered their courses in order to integrate cryptocurrencies into their services and products. But the question here is, are investments the only possible way for you to become a part of this grand scheme? Is it necessary to buy Bitcoins to actually own them? The answer is no. 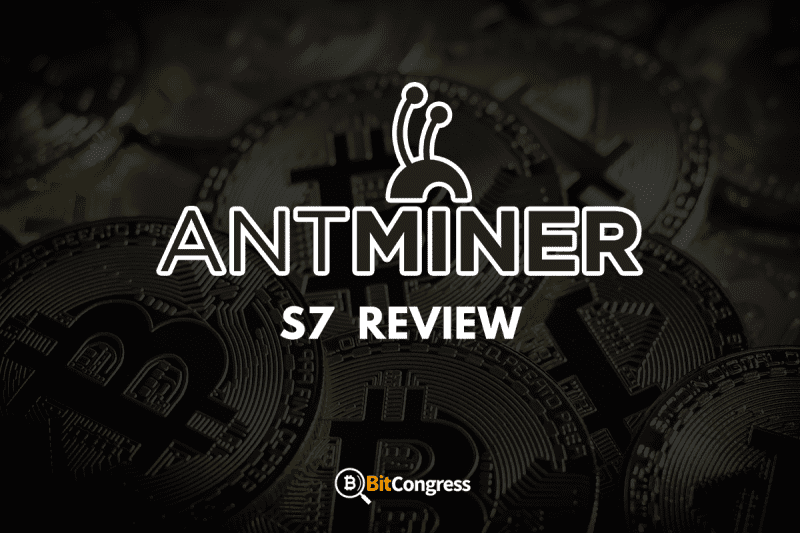 You can even own them by mining, in this antminer S7 review we will talk about one such miner which can make it possible. 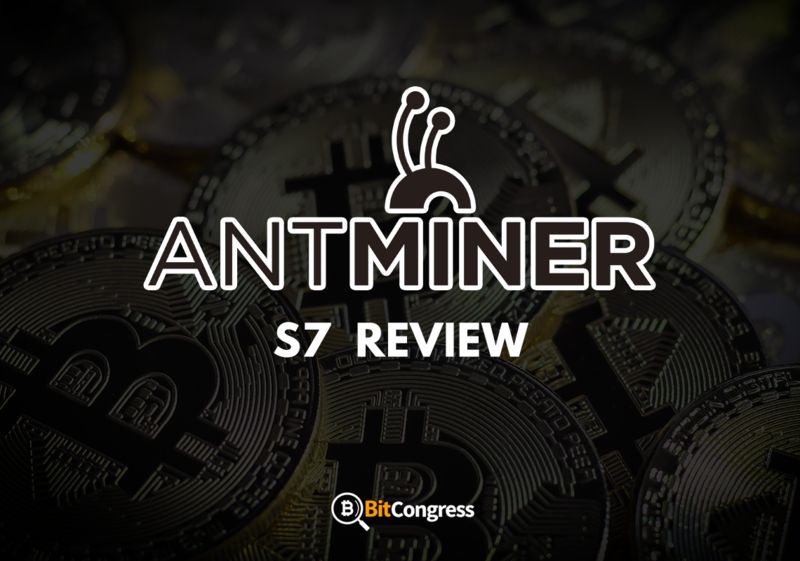 Now to make your job of looking for a miner easier, we are going to review the much talked about Antminer S7 in this article. Antminer is a brand name, fairly popular in the world of cryptocurrency mining, that caters specifically to Bitcoin mining ASIC hardware. The S7 happens to be one of the many others in a long line of mining rigs launched by Antminer, all of which happen to have unique specifications of their own and cater to different types of audiences based on their properties and characteristics. It is one of the most popular sets ever launched by the company and even though it was launched back in 2015, it still continues to bring in customers owing to its unique set of properties and mass appeal. One of the reasons why the S7 is as popular as it is and is currently entering its 19th batch of production is because it offers a fairly high hash rate as per the amount of power it consumes. For any other machine with a similar hash rate, the power consumed will most likely be much higher and yet the S7 does it economically. Affordable pricing and strong performance were driven operation are two more much-coveted factors that seem to give the S7 an edge over the others. Powered by a 28nm BM1385 ASIC chip, the S7 consists of as many as 135 of such power chips which are spread across three different boards and the temperature is regulated using dual fans mounted inside the system. A simple tongue and groove system for the metal casing allow for impeccably neat and organized arrangement of multiple miners. Check the cheapest price of antminer S7! The best fit for a power supply with the Antminer S7 is possibly the 1600 Watt APW3 power supply unit by Bitmain. 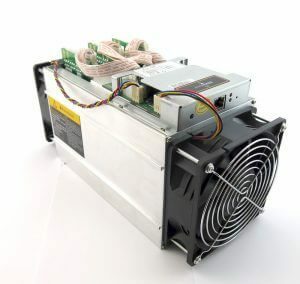 This unit has been specially designed to work in conjunction and supply power to Bitcoin miners. One of its most noteworthy characteristics includes being highly power efficient as it loses only a marginal 7% of the power between the miner and the outlet. As per requirements, it would need a minimum of 205 Volts to function at full capacity and does not actually come packaged with the 16A power cord which is necessary to carry out operations. Now while the APW3 is by no means an affordable unit, it can actually prove to be an economical deal for you as it will always support any future upgrades you wish to make on your miner. It will, for example easily support the much talked about, performance-driven but power hungry device from the same line-up, the S9. If not for the APW3, you can actually use any ATX PSU, provided it is of sufficient wattage, in order to run your Antminer S7. Now while the S7 has been already been in stores for a good amount of time, there has been a substantial price drop associated with it over the years. Initially, it was launched at a good $2000, similar to the S9 at its current rate. However, today, the price of the S7 has dropped substantially to $440 at Bitmain, excluding shipping charges. Other than that, it is available for $545 or $500 from eBay depending on whether you choose the new or the second-hand model. As per the S7-LN excluding shipping and a $439 on eBay for the new and second-hand models respectively. Now as new models keep entering the market, and devices like S9 prove to be the new crowd favorites, the prices of the S7 are expected to drop even further down. Now if there’s one aspect of a Bitcoin miner rig that happens to hold the most importance, it is the profitability of the product. Operating a miner rig takes up a lot of your resources. First of all, there is the cost of the rig to bear, and secondly, there is the excessive power consumed by the miner which can lead to a spike in your energy bills and consumption. Now for an average household, we’re assuming a pool fee of 2.5%, power cost of 15 cents per kWh and a block reward of 12.5 BTC per block mined. Now for the above specifications, you would be losing out on $18 per month and about $223 annually. If you take a close look at the calculations, you will find that anyone who pays for energy at regular prices won’t really be getting any richer if they happen to use the S7. For people with discounted rates of electricity, it might seem like a good option though. As per power considerations, the S7 draws a decent 1293 Watts of power at room temperature. Temperature happens to be a factor in this since the hotter the surrounding environment gets, more will be the energy expended by the fans to keep the unit sufficiently cool. Compared with the S5, the S7 is twice as efficient in the energy department and only asks for a decent 0.25 J of power per Gigahash. As for the Lite version, or the S7-LN, it draws about 700 W and consumes somewhere around 0.25 J/GH. There is an ambient temperature which must be maintained while operating a BTC miner. In case the device gets much hotter than the prescribed temperature, it will get increasingly tough for the fans to keep the unit cool and as a result, your power consumption will increase drastically along with the rise in performance problems. Since the S7 normal and lite versions both are cooled by similar dual 12038 fans, it actually makes sense that both of them require about the same 40^C-70^C to operate at full capacity and without any hiccups. For those who are quite eager to make the purchase and can’t possibly wait for the S9 to experience a drop in its price, the S7 is probably the best option for decently sized profits. While the original version may not live up to your expectations, but in case you have access to cheaper power and are ready for some intelligent and well-planned tweaking to the device, you can actually convert the S7 into a much profitable and suitable miner rig for yourself.